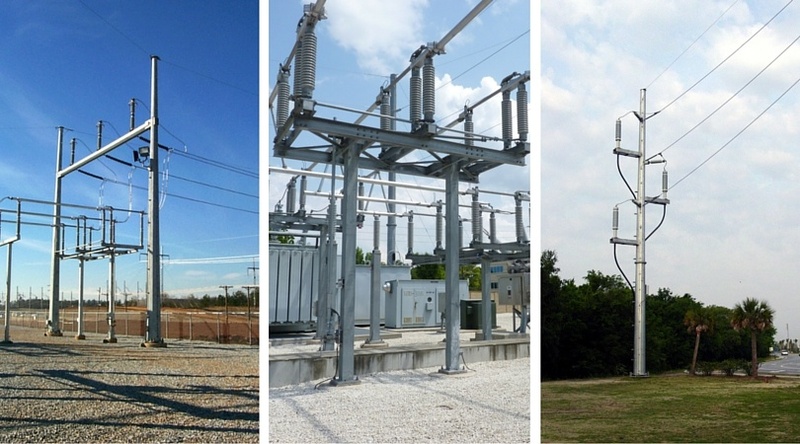 Design, Detail and Fabricate various different arrangements for substations and transmission structures, all the way from standard shape steel structures to large tapered tubular structures: we can do it all. With talented and experienced engineers’ on-hand, as well as steel detailers, we are not afraid to tackle any project from basic equipment stands to the most complex steel structure arrangement. Our unrivaled attention to detail and solid communication, paired with a genuine sense of customer service, demonstrates that we are the elite steel supplier.